If you have been looking to change up your homescreen’s appearance, a well-placed widget is always a good way of doing that. 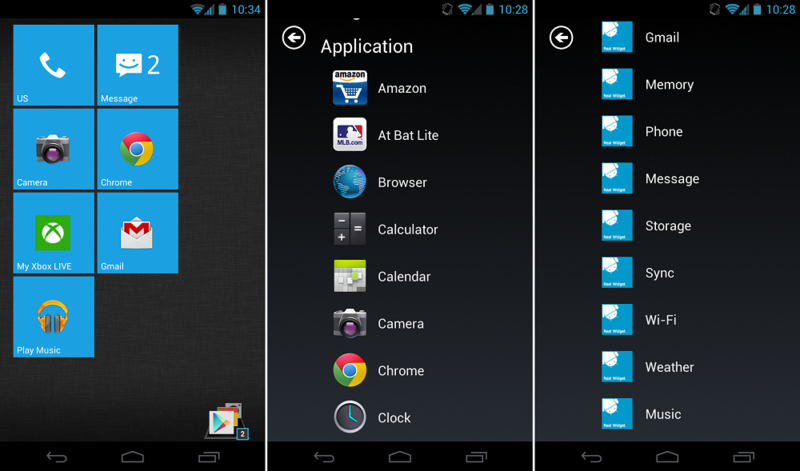 Above is Real Widget, which easily brings WP7’s Metro UI look straight to your Android device. The free version, which works quite well despite some negative ratings in Google Play (people don’t know how to place a widget I guess? ), does exactly what it states in the app’s description. For the $1 version, you’re able to get a more uniformed look with access to additional WP7 tiles which will help with the overall UI, plus access to a music add-on and weather add-on. It’s a nifty little widget for those looking for a change. Samsung Sets Up Jelly Bean Update Page for Devices, Galaxy S3 Only Listed as "Coming Soon!"